This is a used right hand mathews monster 7, it has 29 inch mods and 50-60 pound limbs. It is all black with green strings and dampers. Peep and d loop already installed. I has some marks on limb and limb pocket, does not affect the performance of the bow. This Mathews Monster Compound Bow is designed to build the archer's confidence by its pinpoint accuracy and power. The 33.5-inch high-performance length will comfortably handle personal draw lengths of 23/24/25/26/27/28/29/30 inches. Standard draw weights of 40/50/60/70/80 lbs deliver hours of shooting enjoyment. This bow is for right-handed people. 24in., 27in., 23in., 25in., 30in., 29in., 28in., 26in. Good bow for experienced archers/hunters. Probably not a good starter bow though. Bows that shoot this fast require a refined shooting technique to achieve any repeatable accuracy. A bow with a larger brace height and that is longer limb to limb which is a more forgiving set-up would be a better starter bow. 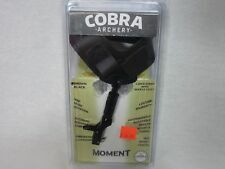 For experienced archers, this is the fastest bow that is easy to draw and doesn't want to jump so violently off the back wall. Very similar to PSE Xforce bows, but with a smoother draw cycle and more solid back wall. This bow is definitely not a toy.. it is bad to the bone. I am impressed with the quality and design.. can hardly wait to get out and shoot this thing. Awesome !!! I got my Mathews monster 6.0 last week this is a awesome bow, fun to shoot, extremely fast and smooth shooting. The cams are a little harsh when trying to let it down and it is a little top heavy but when you stand at a full draw its steady as a rock! New comers to shooting bows may want to look else where but i would recommend this bow to any experienced shooter. I have owned many Mathews, PSE and Bear bows but this one is the best yet. 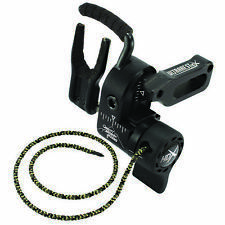 I have been wanting a mathews monster chill x compound bow couldn't find one until ebay. price in the beginning a little high price came down. The bow was in great shape mechanically and well taking care of. Diamond by Bowtech Infinite Edge SB-1 Camo Left Hand RAK Package-7-70# 15-30"